Going shopping can be a fabulous outing! Seniors who don't get to go out much will very often look forward to going shopping, but it can be very hard for them to go on their own. Whether it is chance to go grocery shopping, or even shopping for clothes or other items, a friendly assist from a Kelowna Seniors Home Support staff member can turn the shopping outing into the highlight of a senior's week! 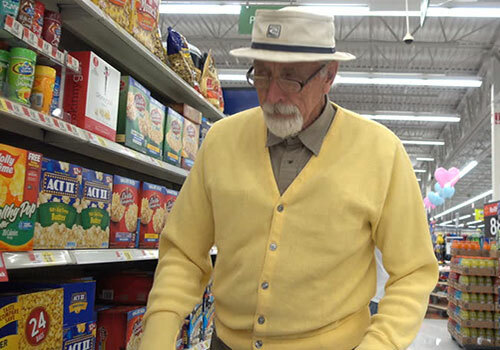 Seniors who are able to maneuver shopping aisles frequently enjoy the freedom of picking out their own items. Our Kelowna Seniors Home Support homecare team member will pick up our clients and take them to shopping malls or other venues for food, clothing, and anywhere else they want to go. If our clients are unable to go themselves, then we will gladly do the shopping for them, as well as run other errands. Please feel free to contact us - we are happy to be involved in the senior's shopping expedition!